Published: Oct. 17, 2018 at 11:01 a.m. 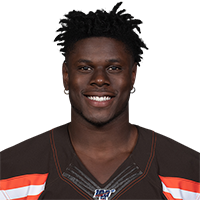 Updated: Oct. 19, 2018 at 02:24 p.m.
Njoku has been fantasy gold since Baker Mayfield took over the offense, scoring at least 10.2 PPR points in three straight games. 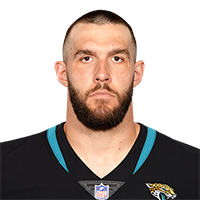 He should be in fantasy lineups this week against the Buccaneers, who have surrendered the most yards (97.2 YPG) and the most PPR points (20.52 PPG) to enemy tight ends over their first five games. 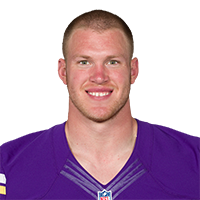 Rudolph has produced just 78 yards in his last two games, but I'd roll with the veteran based on a favorable matchup against the Jets. Rudolph, who runs most of his routes out of the slot, should find success against a banged-up New York pass defense that has surrendered 799 yards and six scores to receivers out of the slot. 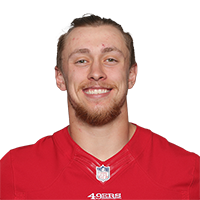 One of the most targeted tight ends in the league, Kittle has retained his top-10 spot at the position even with Jimmy Garoppolo out for the season. 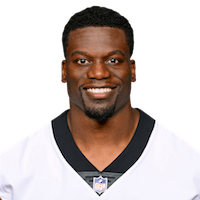 He's a good bet to post a nice line against the Rams, who have given up top-12 performances to Jared Cook and Rudolph while allowing 10 touchdown catches to opposing receivers this season. 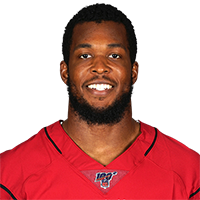 Listed as a start 'em last week, Uzomah was targeted seven times and finished with a solid 11.4 PPR points in a loss to the Steelers. 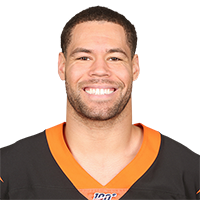 He should be considered a nice option again this week, as he'll face a Chiefs defense that has allowed an average of over 91 yards and the third-most PPR points per game to opposing tight ends this season. I get it ... sitting Olsen with four teams on a bye at a thin position is difficult, but hear me out. The Eagles have allowed the fewest PPR points in the league to tight ends after six weeks. 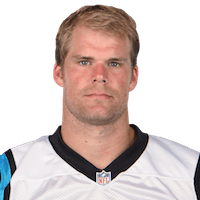 Their defense has also allowed just 391 yards to slot receivers, which is where Olsen has run over 61 percent of his routes this year. Beware Olsen, folks. Clay started off hot last week, but he faded as the game progressed and finished with a mere six PPR points in a loss to the Texans. While the Colts have been burned by tight ends this season, they've also had to face some big names like Tyler Eifert, Jordan Reed, Zach Ertz, and Rob Gronkowski. Unless you're desperate, Clay is a fade. Watson has had a few decent stat lines this season, but he's not someone to trust even at a thin position and a "revenge" game narrative in Baltimore. The Ravens have been stellar at home, allowing an average of 8.5 points a game. What's more, tight ends have averaged 6.3 PPR points against them at M&T Bank Stadium. You know I'm hurting for tight end sit 'ems that aren't obvious when Swaim is listed. He's settled back into off-the-radar status after a 4.1-point stinker last week, and an upcoming matchup against the Redskins won't do him any favors. Their defense has been tough on slot receivers, which is where Swaim has run about half of his routes.